I’ve always been drawn to Mary. 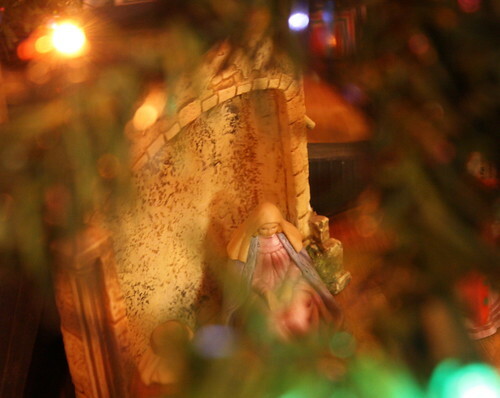 I was playing around trying to get some good shots with my mother in law’s tree this afternoon, and I noticed her tiny nativity set. I’m pleased with how this came out. Happy Christmas to all y’all who celebrate it, whether secular or religious. 2 Responses to Hail Mary, full of grace. So many hugs to you, miss Mouse! And health, prosperity, blessings and joy in the new year ❤ You are someone who I am so happy I get to know.